About two weeks ago, Stephon Marbury became a champion for the first time since high school. The Beijing-by-way-of-Brooklyn point guard led his Beijing Ducks to a 4-1 series win over defending Chinese Basketball Association champion Guangdong Hongyuan, bringing the Ducks their first-ever CBA championship. 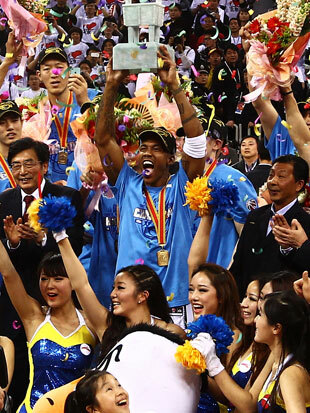 The win capped an emotional road to a title for Marbury, who turned his career and life around by going to China after the 2009 NBA season, thriving in the CBA game to the tune of three straight All-Star appearances and, now, a title. While Marbury put up MVP-caliber numbers in the CBA finals — he averaged 33.4 points, 6.2 assists and four rebounds a night in the five-game series and poured in 41 points to seal the deciding Game 5 — he couldn't officially be named the series' most valuable player, thanks to a CBA rule stipulating that no foreign-born player can win the CBA's regular-season or postseason MVP awards. Eager to recognize Marbury's championship-winning performance, though, fans at the Chinese basketball website hoopchina.com started an online campaign aimed at building a statue of the former Minnesota Timberwolves, New Jersey Nets, Phoenix Suns, New York Knicks and Boston Celtics point guard. Within hours, more than 200,000 fans had thrown their support behind the project; within a week, more than 1 million had voted in favor of pushing the statue into production. 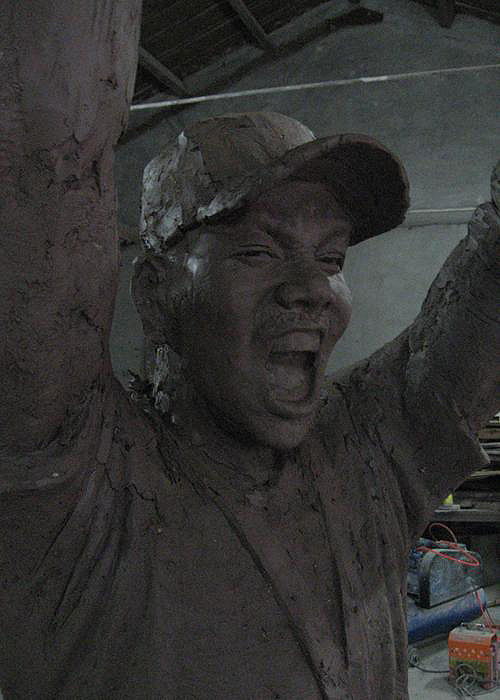 As of the latest update, dated April 10, the statue — which captures the moment Marbury lifted the CBA championship trophy, shown above — has been modeled in clay, "transported to the Jiangxi Province [and is] ready to start after the bronze work," according to a translation of a post from the HoopChina forums. Hit the jump for some shots of the model, thanks to HoopChina, with a hat-tip to Sean Sweeney at Dime. Not a bad likeness, right? 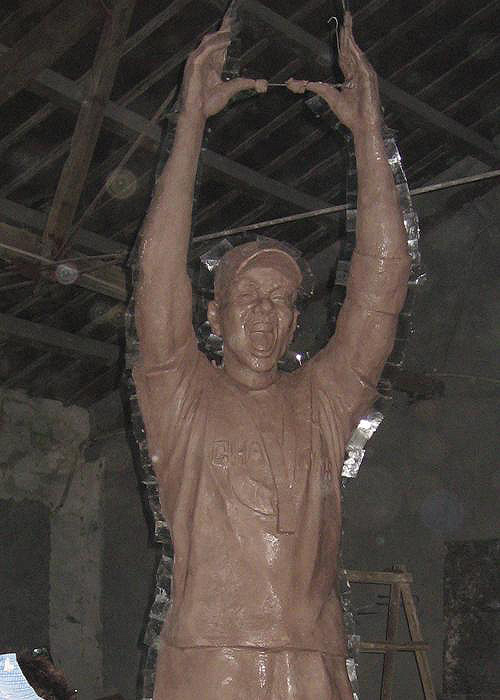 According to the HoopChina poster who shared the photos, the whole process will take about 24 days to complete, so the earliest we'd see the full-on armored version of Steph's statue would probably be mid-May, smack in the middle of the NBA playoffs. Marbury took to both Twitter and, according to Dime, Sina Weibo (a popular Chinese microblogging/social media service) to thank fans for the gesture, the honor and the love. All of this, obviously, is pretty stunning. Three years ago, a huge share of the NBA-watching-and-commenting world viewed Stephon Marbury as at best irrelevant, at worst dangerous and generally ridiculous. Now, in a foreign land, he's defeated all comers, risen to the top of the world and become an honest-to-goodness folk hero. Stephon Marbury is basically living out "Planet Hulk" right now. What an amazing turn of events. • Video: Are the Boston Celtics NBA title contenders?